17 SPORTS. 11 DAYS. 1 PLACE TO BE. Looking for schedules and results on the go? 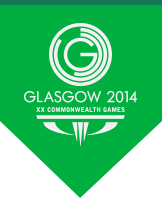 Download the official Glasgow 2014 Results App! *All start times are estimated and subject to change.